Sometimes I Miss the Sixties! I’ve been making my way through an older series, since I’ve done a pretty good chunk of everything that exists on Netflix, HBOGO and all of the major movie channels on cable. 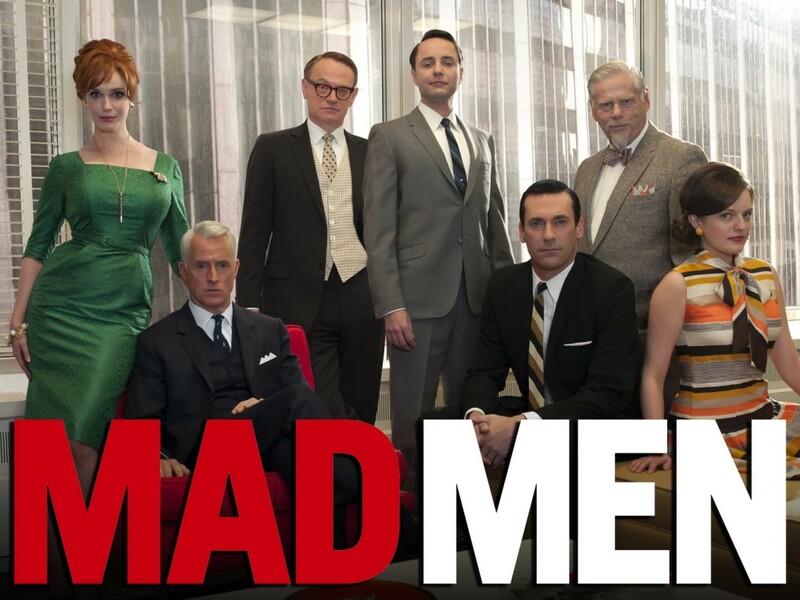 And Netflix notified me that there were new episodes of “Mad Men”, so I thought, what the heck, its been a while since I watched and I’ve forgotten more than I remember. So, now I am halfway through Season 5 and I have to say that the show continues to blow me away. I am a little sad at how they present almost all of the relationships falling apart. Quickly. And that no one – neither man nor woman – can seem to remain faithful for long. No matter how much they declare their love and devotion at the onset of every relationship. The other thing that I love about the show is the sets. There is real nostalgia for me in seeing these homes and offices decorated from the sixties… my childhood. And the fashions and the hairstyles. Even the colors! I remember my childhood kitchen decorated in that trio of colors: harvest gold, pumpkin orange and avocado green. I’ve seen in passing items that I know were in my home or the homes of friends and family. This photo looks a little like the one I grew up with. 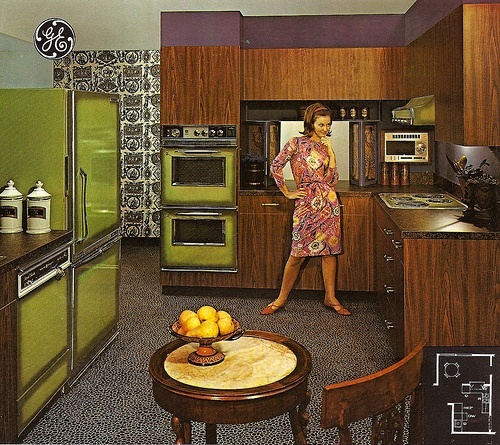 That horrible vinyl wood on the cabinets and green appliances. The kitchen table had a full wall behind it, and it was wallpapered with this off-white background with very large leaves of those the trio of colors. At the time, I am sure it was very posh, but looking back, it makes me cringe! This weekend is the big annual neighborhood garage sale and I’ve been working pretty hard to collect things to sell. Also, I am making a debut of sorts of the “cupcakes & dolls” line of furniture, toys, clothing and accessories. I am hoping to see what sells and what the price points will be. I will do a comprehensive post to review. I am kind of excited in advance… I hope that word of mouth will help sell. I am thinking of putting the dollhouse out as well, although it is a price point a bit high for garage sale mode, but maybe it will get attention and get someone to come back.